One of my mates emailed me the other day to suggest that a certain BBC correspondents comments may have influenced (/triggered) the run on Northern Rock. 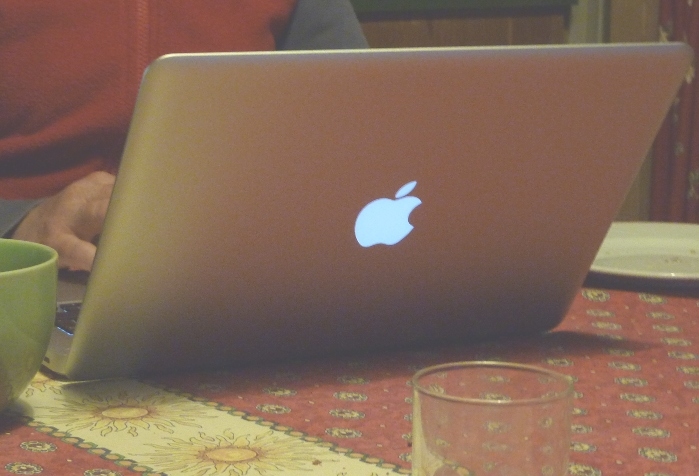 Last week I confessed to the world my Apple fanboism with the purchase of my shiny new very very nice MacBook pro. This week Apple are a bigger technology company than Microsoft! Its incredible really, both companies have big new product releases about now. But one company has invested in getting the message out, and Microsoft as usual have kept their hands very much in their pockets. Everyone knows the iPad is on its way. Who knew Office 2010 was released? and what benefits it will bring ( from a margeting message pov of course ;-) ). We actually proposed a series of roadshows to MS to promote all the new stuff in 2010, instead they are doing a footy comp, and I think they recently ran another patronising Office gimmick too. Actually I have been expecting this cross over for a while, I think it will continue and increase do you? Monday 12th July – One day Excel Developer conference in London near the Barbican. Agenda, details, cost etc to follow in the next few days. An analyst is just a developer who can’t code in the chosen implementation technology. We are always told we have to use tortuous programming languages because English (or your choice of normal language) is too imprecise. Our ability to code in higher and higher language is developing slowly as people write layer upon layer to translate our higher language to computer meaningful stuff. But if an analyst is writing specs that someone is going to code in this precise programming language, how come they can get away with using an imprecise language? How does the coder move from vague to precise? (hint: personally I go and ask the customer, but that’s just me). Don’t say CASE tool, unless you genuinely, regularly use one, in which case, which? why? strengths? weaknesses? I’m only asking because this analyst thing came up in conversation recently, and for business systems development in higher level languages* I think this role separation is ridiculous. Sure plenty of people don’t have the full set of business and technical skills to cover both roles. IMO those people should be developed where possible to enable them to cover the full lifecycle. Not compartmentalised and forced to communicate via the 2 cans and a string that is specs written in Word. [* by higher level languages, I’m thinking of the stuff business systems are generally built with, thats most of the stuff we discuss here, C++ I’m willing to concede may be out of reach for some business analysts, but I don’t think SQL or C# should be]. Do you think it would work? Does it make sense to split the roles? Anyone fancy a conference in one or other of these lovely locations in July this year? I was thinking of organising one in London, but if enough people were interested I’d rather do it round here (Lake Geneva region). (now the traditional crap-start-of-May weather has passed (had a frost the last couple of mornings, got soaked everyday on my bike last week). I can’t says its cheap, but its a lovely location, the weather is good, you can get by with just English, and many other languages as it happens. Its less than 100 quid to fly from Londinium, and takes about an hour, Swiss public transport is superb. The agenda would be relevant to people developing their own Excel tools to sell and for those working in companies developing stuff for others. Cost would be dependent on venue numbers etc, probably in the order of a couple of hundred quid for one day or so. If you fancy it then leave a comment or drop me a line. If you would only come if its London then mention that too. If the cost puts you off then suggest a rate you would be prepared to pay for a days intensive Excel mischief. If you are based in the area and have conference facilities available deffo mention that! It looks like there will be another Excel User conference later this year, we are in the process of sorting out venue/agenda etc. I guess there will be a formal announcement soon? We are looking for some Excel/VBA devs. They need to be good, or better. I’m not a big fan of silly questions that have no bearing in the real world, but equally, I need in 20 minutes or less, to get a good sense of whether the candidate is going to cope in the harsh reality of financial services spreadsheeting. (And over the phone). Whats the keyboard short cut to open the VBAIDE?. What is the SQL to return a list of products where the maturity date is after June 2010. In excel what is a volatile function? Name 2? In VBA what does option explicit do for you, and how do you set it. What size of spreadsheets have you worked with? What is the main body interested in spreadsheet quality? Have you got any favourite questions? I’m not thinking of ‘pass or fail’ type questions, more ones that will allow us to get a good sense of people strengths and weaknesses. Just technical, someone else will be covering the other stuff. Anarchy in the the bus lane. I’m commuting to work in Geneva on my motorbike at the moment. the jousting with cars and scootards within Geneva. Frankly the bike lane is pure anarchy! The cars all queue up and pootle along slowly in line with the rules of the road. The bikers filter sensibly wherever there is a (safe (sometimes anyway)) gap. The scootards just go wherever the chuff they like, on the pavement, through roadworks bollards, into the back of anyone daft enough to actually stop at traffic lights or crossings. Bikers at the top of course as we usually have the most training, the best view (highest eye line, generally), and the best awareness. Next car drivers, or sheep if you like, who just blindly follow the car in front, have limited choices, have to follow the rules. At the bottom its the scootards, or even worse the double scootards. These are people who probably havent passed any licence, can’t spell training and think a tartan rug over their knees makes them high visibility and completely indestructible. These ejits truly believe the road belongs to them, and the pavement, and the central reservation, and your garden if they need it. The car drivers remind me of mainstream software developers. Limited in choices, tied to unimaginative processes, plodding slowly towards their original destination with limited opportunity to change quickly. The bikes and scootards remind me of users, cutting and thrusting, breaking and bending the rules where they need to, making rapid progress towards their goal, and easy to change direction if they need to. The scootards have that short term view and lack of concern for the consequences that in particular reminds me of user developed spreadsheets. The bikers with their better view, better training remind me of course of that rare breed, the business developer. A person who uses the tools available to solve business problems effectively rather than slavishly obsessing about how to integrate the latest tool version or language feature (thats you, all you VS 2010 early adopters btw (car drivers!)) into their current project regardless of the complete lack of business benefit. From a practical pov the scootards represent the biggest danger to me, their twist-n-go ease leads them to a slack attitude in all aspects of their riding. I’m just relieved they can’t corner or go over 60 kmh, at least they don’t bother normal road users on the nice roads. What do you think to the metaphor? Anyone else noticed a big drop in performance of the Jobserve site recently? Its been suboptimal with Linux/Firefox for a while, but this last week its been virtually completely unresponsive, as well as clumsy to use (as usual). Overall I think it has deteriorated bit by bit over the last 5 years or so, to the extent its no longer that relevant. Contract only, I have weakened and glanced at permie jobs a couple of times recently, I must confess, but I’m not ready to go over to the dark side just yet (unless somethig impressive came up I guess). (That said published contractor rates are not that impressive compared with permie rates in financial services/Excel/VBA/etc. In fact, if Gordo hadn’t promised to confiscate banker bonuses then permies probably earn more at the moment). I guess Cam/Clegg could undo that. Had a rather more expensive dinner than usual earlier this week. From deepest darkest Cumbria, there are rather limited dinner time shopping opportunities. Not so in sunny Genève where I can get to the Apple shop and back before anyone notices. (except my credit card company of course). Of course I’ll have to go back to the shop to get a dvi – VGA converter for presenting, and probably for all the other bits to make it a complete lapper. (Its a 13″ Macbook pro – seems pretty good so far, has the thumbs up from the mrs, I’ll know more once I get a proper turn. The plan is to load it with Unbutu, and maybe Windas, maybe even Win7. In other Apple news, I found this proper iPad test. I was a massive fan of netbooks when they first came out, and I still think they have their place, but the iPad form factor and media consumption function doesn’t do it for me. Never mind the legendary Apple ‘control’, and the Flash battle in play currently. One of the guys in the Office has an iPad, I don’t think I’ll get one, I think I’ll be sticking to my Macbook. (I was eying up one of the neat Sony slim netbooks, until I realised they are just the same Atom proc as the 200 quid ones – I thought the Sony might have a bit more umph as well as a bit less lard – not so). What about you? Any plans for an iPad? if so what for? Looks like I have got even-tide web access back in my life – hat tip Madame Smurf for kicking the landlords till they sorted out the wifi connection. Tip for landlords – if you are going to give internet connection instructions why not give the correct SSID and password? A distinct lack of time and internet have been two factors limiting my blog musings recently, one of those looks to be fixed now. We are currently experiencing a little volcano disruption here. But on the plus side I have also been able to blame it for leaving work early, for arriving late, for keeping the hire car longer than agreed, and for not getting emails I don’t want to deal with. I also have plans to use it for some forthcoming events. Whats the best ‘its the volcano wot done it’ excuse you have heard this last month? If you are wanting to play with VSTO and want a simple, easy to carry intro, this isn’t it. It’s massive and it weighs a ton! But that is because it covers all the main Office apps, well Excel, Word and PowerPoint, I dunno what the Access/VSTO story is. Maybe the Access boss was out the day they decided to point VS at Office? This is a good book. I’m always a little sceptical on books, especially if I don’t know if the authors are commercial devs. I know the two Erics are key members of the VSTO team, but thats not the same as delivering and supporting, using the book contents, to paying clients. With this book though you can just follow through the examples and deliver working solutions, that actually work. My only issue is with the section on UDFs using Automation add-ins – c’mon guys, everyone knows .net automation add-ins are completely inadequate for commercial use. Sure show the tech, but at least warn people that the performance is pitiful. Otherwise someone will use just that section, see how crap they are and assume that the rest of the book and the technology is as bad, and it isn’t. The rest of the book (I didn’t bother with the non Excel stuff of course) looks like a simplified version of what to do, but actually VSTO 2008 is that simple. All that Caspol security bobbins is gone and getting your VSTO solution working on someone elses pc is now really straightforward. I’m not completely convinced by VSTO, I think the VS2010 v Office 2010 story will be pretty slick, but the VS2008 stuff v Excel 2007 is really quite flaky. I think in 2010 they have actually fixed some things they just patched in 2008 (I’m thinking the locale ID mess for one thing). My preference for Excel add-ins is still xlls and with the rapid rate of improvement and availability of tools in this space, its getting better and better. Anyway if you are doing VSTO development this is the book to get. PED also has a good section on Excel/.net covering all the options as well as going into detail on VSTO with VB.net. How are your VSTO projects coming along?